Civil, Mechanical and Mining Engineering students attended the Global Minerals & Machinery Expo, 2018 at Khelgaon. 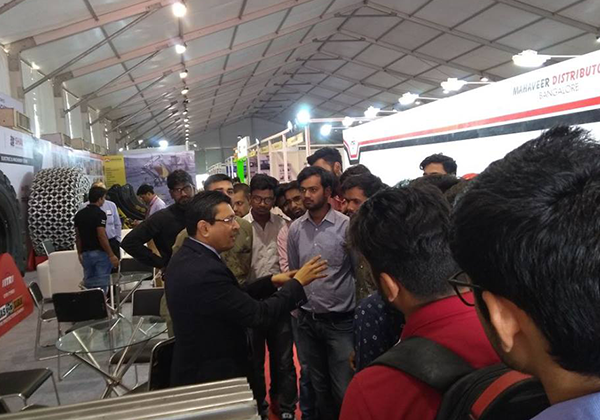 Civil, Mechanical and Mining engineering students attended Global Minerals & Machinery Expo, 2018 at Khelgaon, Udaipur where the students learn about different kinds of mining and construction machines. http://www.pacific-it.ac.in/wp-content/uploads/2018/03/news-3.png 420 600 nirbhay http://www.pacific-it.ac.in/wp-content/uploads/2017/06/PIT-black-resize-1-min.png nirbhay2018-03-10 08:51:282018-05-23 11:07:17Civil, Mechanical and Mining Engineering students attended the Global Minerals & Machinery Expo, 2018 at Khelgaon.